1. Pearl Global Industries Limited is a 10 rupee face value readymade garment company. Security ID: PGIL Group / Index: B Face value: 10.00 Security Code: 532808 ISIN: INE940H01014 Industry: Readymade garment Apparels & Accessories company. 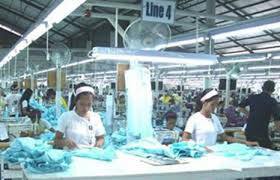 Short Brief of Company Business: - PGIL is one of the India’s largest listed garment exporter, manufacturing from multiple sourcing countries within South Asia. As a preferred long-term vendor to the most leading global brand is located at all the strategic locations in the world with Man & Machines, including India (North and South), Bangladesh and Indonesia. And PGIL is expanding more frequently than ever. 2. Year high of Pearl Global Industries Limited is 257.70 year low was 110.00 and stock traded at 150.85, Year high/ low ratio is below 2. PGIL March 2017 earning rise from 185.59 Cr (Dec16) to 328.62 Cr(March 2017) net profit also rises from 0.10 Cr to 8.14 Cr. So due to this good result year high/low acceptable till 2.5. One of my followers wrote that why I compare the quarterly result with the earlier quarter he wrote my method is wrong if I compare March 17 earning with Dec 16 earning then it is wrong If March 2017 earning will compare with March 2016 earning then it is right method. 3. Promoters of Pearl Global Industries Limited hold 66.58%. Promoters holding is good, and promoters are not pledged any stock. 4.Pearl Global Industries Limited is a dividend paying company. As you knew all of my fundamentals recommendations are dividend paying, so we get dividends in our holding periods. 5. The base price of Pearl Global Industries Limited is 203.90, Stock traded almost 25% below from base price, and it is the best price for long term buy. 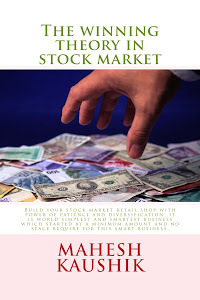 Now you understand about my patience stock start it downside journey from the price of 282 and down till 110 and now when the stock crosses his 200 DMA and still traded above 200 DMA, So I advise this stock because now I think the downside is limited to this stock. 6. No any bonus issue right issue and bulk deals are recorded in last two years. 7. Pearl Global Industries Limited net sale per share of FY 16-17 is 395.98. 8. Net sale per share 395.98 is near 2.6 times higher from CMP 150.85 this is the another reason for this recommendation. 9.The book value of Pearl Global Industries Limited is 172.71 Book value is also higher from CMP so in book value term PGIL is a value buy. 10. Finally, I choose PGIL as long term multibaggers stock. 11. 200 DMA of Pearl Global Industries Limited is 146.87 So at CMP 150.85 Stock traded above his 200 DMA; This is the reason why I choose this level for my recommendation. 14. Disclaimer: - This is not an advisory service to buy or sell. The contents of “this research report” are only for educational purposes. No liability is accepted for any content in “this research report.” The author is neither a registered stockbroker nor a registered advisor and does not give investment advice. His comments are an expression of opinion only and should not be construed in any manner whatsoever as recommendations to buy or sell a stock, option, future, bond, commodity, index or any other financial instrument at any time.The author recommends that you consult with a qualified investment advisor, one licensed by appropriate regulatory agencies in your legal jurisdiction, before making any investment decisions. Please read the full disclaimer at the bottom of my blog. 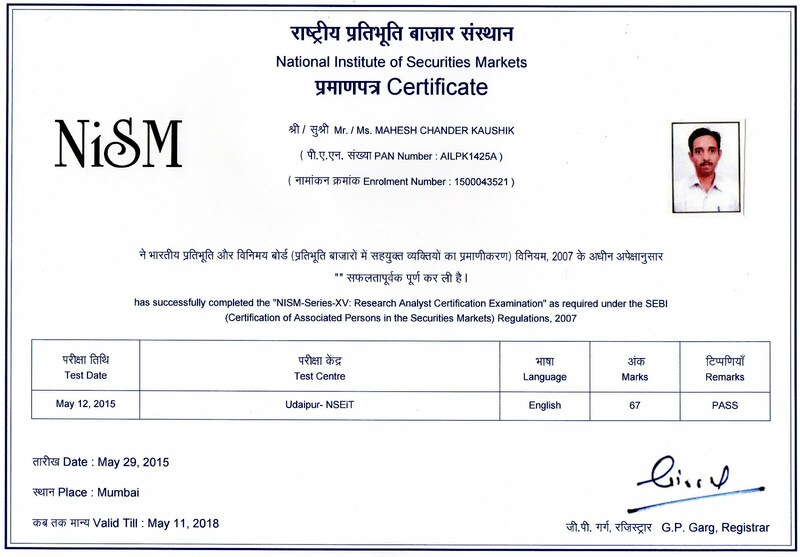 15.Discloser: under- I Mahesh Chander Kaushik author of this research report is an existing research analyst and passed NISM certification for research analysts. I am also registwithSEBI(RESEARCH ANALYSTS) REGULATIONS, 2014 ( SEBI Registration Number INH 100000908 ) hereby disclose about my financial interest in the subject company and the nature of such financial interest:- 1 Me and my associates or relatives have not hold any share of Pearl Global Industries Limited, so my personal interest is not included in this stock. 2. Me and my associates or relatives have not any actual/beneficial ownership of one percent or more securities of the subject company ( Pearl Global Industries Limited). 3. Me and my associates or relatives have not any other material conflict of interest at the time of publication of the research report. 4. Me and my associates or relatives have not received any type of compensation from the subject company(Pearl Global Industries Limited) in the past twelve months. 5. I am not served as an officer, director or employee of the subject company ( Pearl Global Industries Limited). 6. I have been not engaged in market making activity for the subject company (Pearl Global Industries Limited).